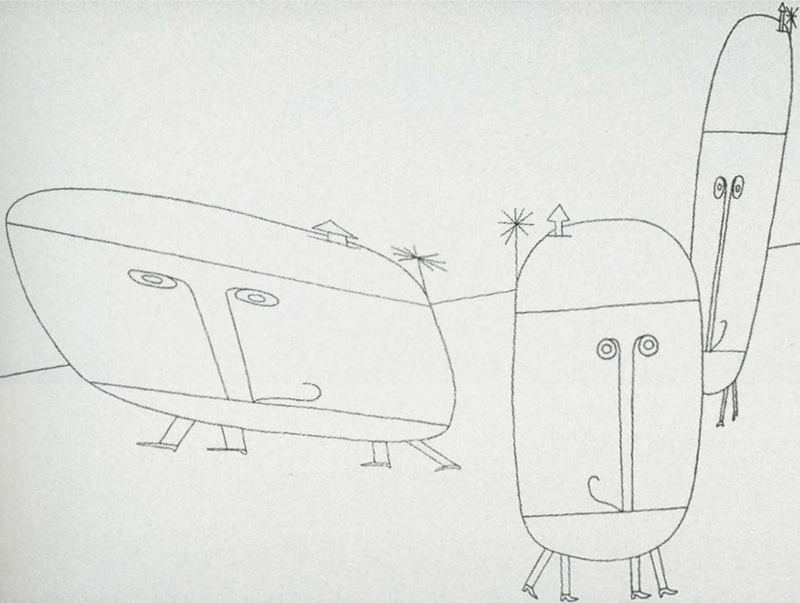 In 1963, I used an analog computer to make transformations on my line drawings. It could represent directly measurable quantities, and the results could be replicated. I discovered digital computer graphics in 1964, and my world was changed, forever. Thirty-four years later, I find the problem of art is still the same, which is to create a meaningful structure to reveal aesthetic content. However, I have been affected by computer processes and procedures. I came from a traditional background as an artist, with a relatively simplistic viewpoint about structure and nature. My conception of nature and an object has been expanded by science and computer graphics. I better understand how computer procedures can affect one’s definition of an object. An object is not simply a geometry. My object has built-in procedures that affect its behavior. Also, when I touch it, my object can make sounds or change its form. It can send messages to other objects. I see and feel a single object from many points of view. When I make copies of an object, they become captured instances of time representing inner agents and different psychological states. Symbolically, it represents past, present, and future states and becomes a character within a virtual space. The surrounding atmosphere is symbolic of distance and a time past. Shadows are like an echo of what was once another reality. I try to define a mythological space to express a range of feelings, inner problems, and mysteries.